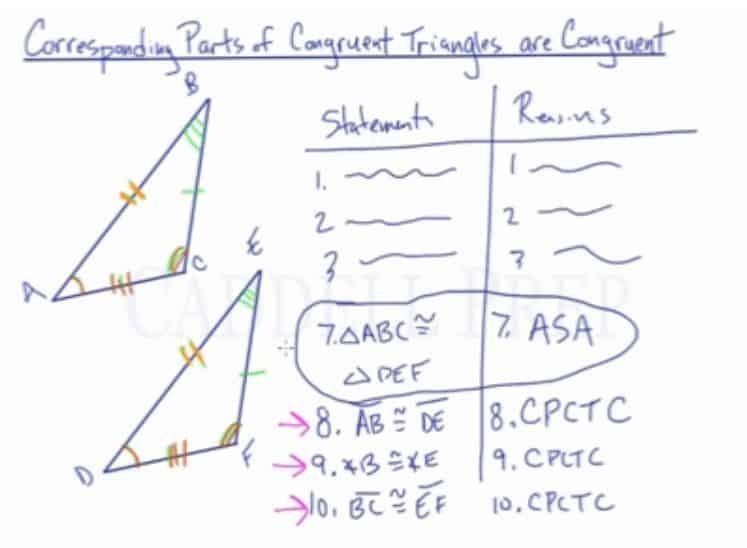 In this video, you will learn how to use Corresponding Parts of Congruent Triangles are Congruent (CPCTC) to prove line segments or angles are congruent to each other. When writing proofs, we are not always directed to prove two triangles congruent but rather parts of the triangles congruent. With CPCTC, we can utilize congruence to prove parts of triangles congruent. Let’s say that the two triangles are already congruent to each other. As a result, any corresponding parts of the triangles are congruent. One of such might be , , or because of . A lot of times when we’re working on our proof, the objective is to prove that two triangles are congruent. But sometimes, we just don’t prove two triangles are congruent, we prove other information as well. Congruent triangles have corresponding parts of one triangle are congruent to another triangle. Angle corresponds to angle , so they are congruent. The angle corresponds to angle which makes them congruent with each other. Angle corresponds to angle so they are congruent. Likewise, side is across from and side is across from , so and corresponds to each other. Side and side corresponds to each other so they are congruent. When we’re writing proofs with statements and reasons chart, one step is . And let’s just pretend that we already proved that , , and . So if we proved that, we proved that these two triangles are congruent using Angle-Side-Angle. The important thing is after we prove that we can show a lot of things. We can list any corresponding parts of this triangle as being congruent. Because we know corresponding parts of congruent triangles are congruent. 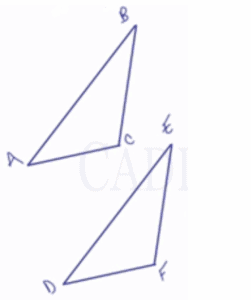 Our reason is simply that congruent parts of congruent triangles are congruent (CPCTC). Then, we can use this to a lot of things. We can also use this to prove that for the same reason which is CPCTC. 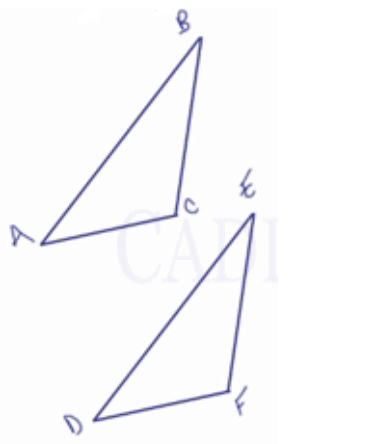 And we can also show that because congruent parts of congruent triangles are congruent (CPCTC). Sometimes proving that two triangles are congruent isn’t immediate stop in order to get to another proof about line segments or angles. Possibly, even this information can be used to prove different triangles or maybe promises or squares or anything else are congruent.